I have regularly used comic books in class, and have been known to buy in bulk from charity shops / ebay – then spend hours trawling them to find suitable and good-condition ones! Happily, it seems tablet computers have made that a thing of the past! The crisp and clear screens are perfect for displaying the comics and they don't suffer from wear and tear! Comics are useful in a variety of situations – and the 'classic' universes – Batman/Superman/X-Men and so on are very popular and well known with the children. There are others available though, classic stories in comic form, other characters and less well-known superheroes. This means that, given some ownership, children could find comics that they enjoy and that they may not normally have access to. Forming opinions, reading for pleasure and following long story arcs are all perfectly possible. Comics allow for the children to read independently as well as group focus for guided reading. The characters and narrative tend to be well suited to focused work and many of the children are familiar with the setting as they recognise them from movies or games. In guided reading, the visual aspect of comics means that children can practice many skills (inferring, predicting) without worrying too much about the actual text. Use as you would a usual text – the same questioning and activities can still apply. Remember as well that these texts may motivate the more reluctant reader to get involved. 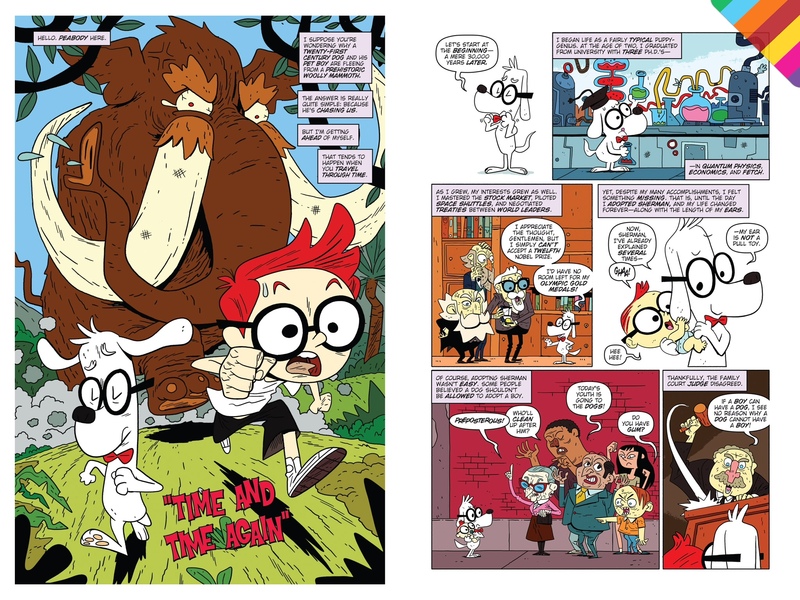 Longer stories – Graphic Novels – or adapted stories can also be found on iBooks – searching for Graphic Novels will throw up many intriguing titles. What apps can be used? 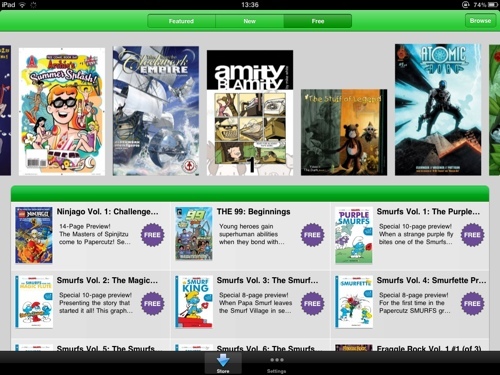 Comixology also contains many well known issues – but you will need to check the suitability! 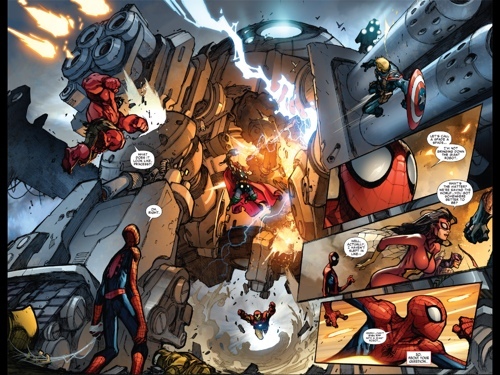 Marvel's great app is here – again may not always be suitable for younger children. The folks over at Me Books also have a great app – Me Comics! I wrote about Me Books here. This is by no means an exhaustive list – but do give them a try – ask the children for their opinion! It's a great way to get them interested in their reading! Posted by RS on April 29, 2014 in Apps, iPad, Literacy and tagged #edchat, iBooks, iPad, Literacy.